We have seen in the previous post that the Zykov addition is the dual of the disjoint union operation on the category of finite simple graphs . What happens if we dualize the multiplication? Theorem: for the dual ring of the ring of networks, the Euler characteristic is a ring homomorphism from the ring to the integers. The Kuenneth formula holds for this multiplication. Proof. We can produce a homotopy from G x H to the Cartesian product. To do so, first make a Barycentric refinement of G x H, then collapse any refinement of the product of simplices x in G and y in H (which has dimension to a ball of dimension . Here is an illustration, where we have to collapse a three dimensional tetrahedron to a two dimensional disc on every “two dimensional cell”. The right hand side shows the Cartesian product, we have seen in the Kuenneth paper, where the product graph is the Barycentric refinement of a Cartesian product on discrete CW complexes. 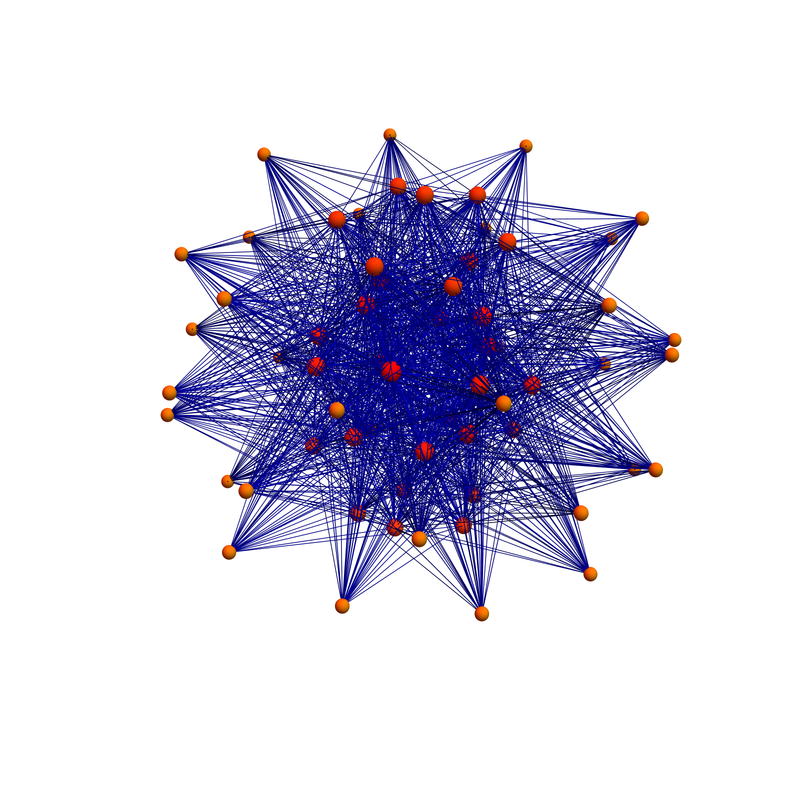 The ring of network (with its dual) bakes together several graph operations and features topological compatibilities. It is a ring which binds them all, so to speak. In the next figure, we see an illustration of four products. 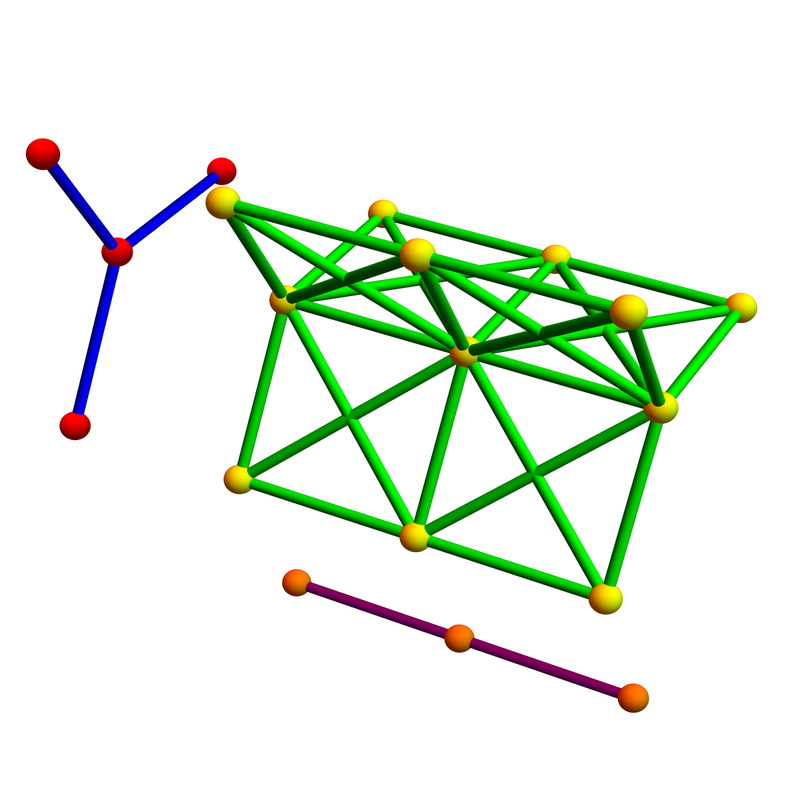 The first is the Cartesian graph product, the second is the new graph product in the ring of networks. The third is the dual product. The forth is the tensor product. We see that the dual product bakes together the Cartesian graph product and the tensor product (take the union of the edges). In all cases, we take the product of a star graph S(3) (with three rays) with a line graph L(2) (of length two). Here is an other example, where we take the product of a linear graph L(2) with a circular graph C(5). The first product is the Cartesian graph product, the second is the Cartesian product (which by the way corresponds to the product in the Stanley Reisner ring which is also used to compute it. See the Kuenneth paper). Then comes the Zykov product compatible with the Zykov join addition. Then we see the dual of that product. We see it fills the holes of the Cartesian product with tetrahedra. The last product is the tensor product. The union of the edges in the Cartesian and Tensor product produce the dual product to the Zykov product. The second and fourth graphs (the Cartesian product and the dual Zykov product) are homotopic. This is the reason that while the dual Zykov product is a three dimensional complex, its cohomology and Euler characteristic is the one of the cylinder. One can see very well the defects of the graph cartesian product (the first one) and the tensor product (the last one). 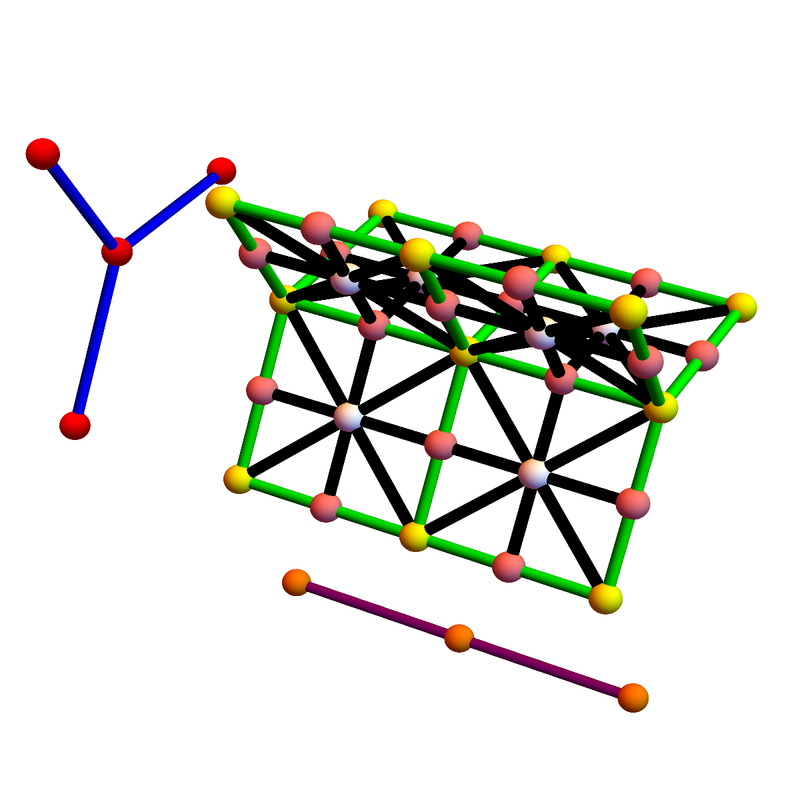 The fundamental group of the graph Cartesian product is already large (the Euler characteristic is V-E=15-25=-10 which can be seen that 10 holes were punched into the cylinder). The tensor product is not even connected. From a topological point of view, the product basded on simplices (the second one) is the best. Its dimenion is 2, and its cohomology is the one of the cylinder. We have seen that fixing the arithmetic properties (associativity), we have to go to the larger category of CW complexes. 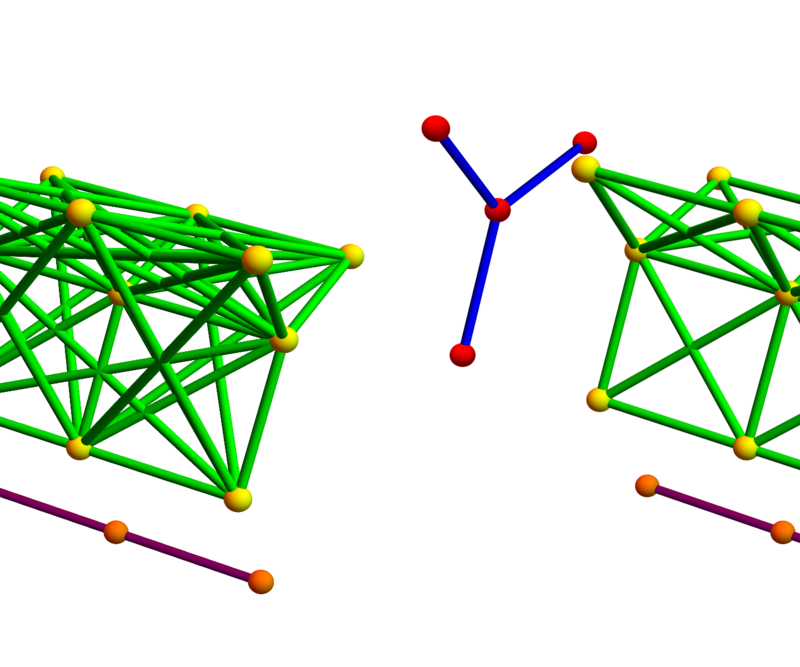 Now duality also produces two new graph multiplications compatible with the Zykov addition: these are the dual operations to the Cartesian product and the Tensor product. As duality reverses inclusion, these multiplications are even fatter and have no compatibility with cohomology, dimension or Euler characteristic. The big question is of course which of the rings have a multiplicative unique prime factorization. We are especially interested in the ring of networks. Of course, if this ring turns out to have a unique prime factorization, then also its dual has this property (and vice versa). It seems that the dual multiplication could be easier to analyze. Now this dampens a bit the hope for the property to hold as the Grothendieck ring (for varieties at least) has no unique prime factorization. One also knows that the graph Cartesian product fails to have unique prime factorization. Still we are in a combinatorial finite setup, where some combinatorial rigidity could hold which is not present in the continuum.